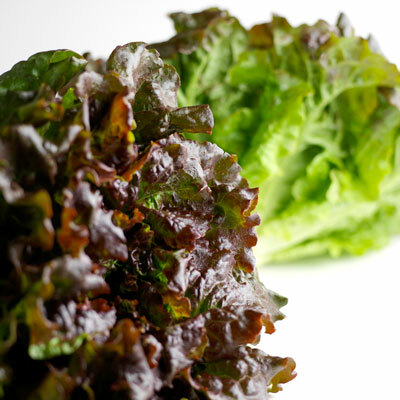 Leaf lettuce does not form a head, but consists of large, loosely packed leaves that are joined at a stem. The tender leaves are delicious on a sandwich or tossed with a light vinaigrette. It is important to separate the leaves before rinsing to thoroughly wash them. Pat dry excess moisture with a paper towel before using or storing. Leaves can be torn or chopped into desired size for salads, sandwiches and burgers. Looking to simplify the preparation process? A salad spinner dries greens quickly and thoroughly. Choose lettuce with healthy outer leaves. Store lettuce in a plastic bag and put it in the refrigerator crisper. Always wash fresh produce before consuming.